Expanding your world, one conversation at a time. Imagine a world without language barriers. Etymo powers through them with real time translation services for your global brand. English is the common medium for most business transitions. 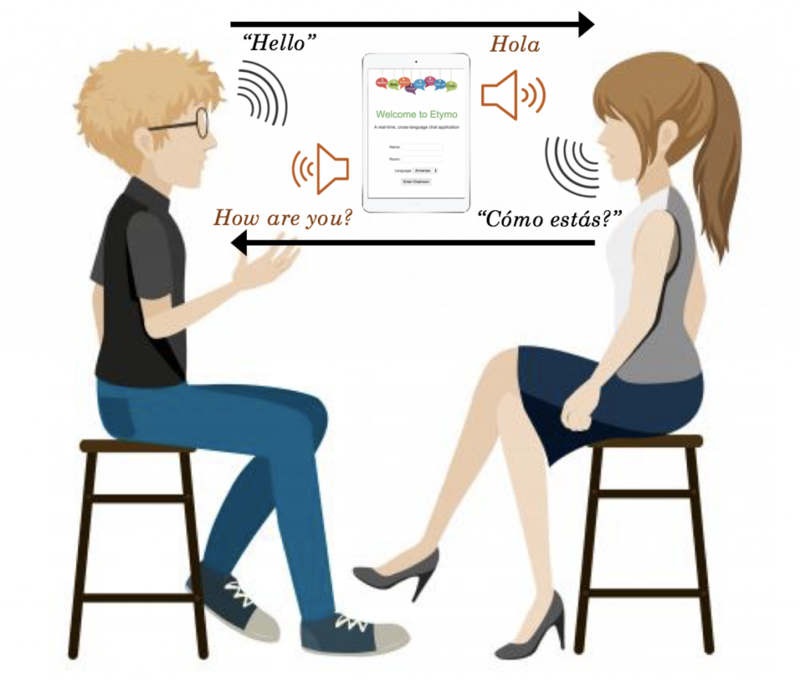 Google Translate and similar products provide the ability to translate on-demand. Yet, they operate based on input/output tools. The lack the ability to conduct a streamlined conversation without direct interaction is lacking. The demand for real-time translation services fall within the Educational, Enterprise, Consumer markets. Rosetta Stone, Duolingo and Babel sit atop the educational market. Google translate Within the Enterprise market, Google Translate, iTranslate, Waverly Labs, among others fill the consumer market. The enterprise market is far more fragmented. Here we aim to compete. Yet our competitors offer solutions that instantiate the device intrusively into the transactional sequence of the conversation. Etymo provides a real-time, dynamic chat environment where individuals, whether they be globally dispersed employees or potential customers, can chat regardless of their native language. Digital interactions are one of the dominant channels of an internet based, small businesses. No longer does English proficiency need to serve as the common medium for such interactions. The pool of prospective customers, employees and brand ambassadors just blossomed! Etymo’s application converts the real words spoken by one party and outputs the translated audio in the second party’s native language. It’s as simple as that. This avoids the momentary pauses in the conversation that frequent current solutions — where both users type and process the results before responding. With our application, users are simply have a natural conversation that Etymo facilitates. The underlying audio to digital conversation, translation services and audio synthesis is well established through commercially available APIs (e.g. Google APIs). The envisioned revenue stream would be underpinned by a subscription based model (dynamic charging based on usage) with a freemium trial period.